After three back-to-back months of heat and humidity, most folks are ready for cooler weather. With the fall season quickly approaching, new seasonal beers are here! Boasting full-bodied and malty flavors, Hi-Wire Brewing is excited to announce this year’s fall seasonals. 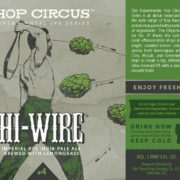 For the fourth year in a row, Hi-Wire Brewing has released its Lion Tamer Rye IPA (7% ABV). 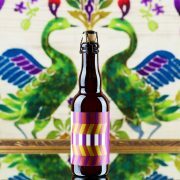 This popular seasonal is aggressively hopped with a blend of citrus-forward Citra and Amarillo hops. Ruby red in color, Lion Tamer’s citrus fruit flavors are rounded out by the unmistakable spice of bite and rye. You can find this beer in both of Hi-Wire’s taprooms, and is available in six-packs and on draught throughout their entire distribution footprint. Also available in 6-packs and draught is the Zirkusfest Oktoberfest Lager (6% ABV). Scheduled to hit the shelves mid August, this traditional Märzen boasts all the flavors one wants in a rich Oktoberfest lager without the heavy finish. The use of Munich malt provides upfront biscuity and honey flavors that fade into a dry finish. 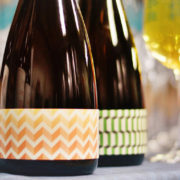 Finally, Hi-Wire is releasing a fall specialty beer on August 19th. Available in their taprooms and seeing limited distribution on draught and 22oz bottles is their Pumpkin Lager (6% ABV). This lager takes the traditional Vienna Lager to a new level. The malt bill in this beer attributes flavors of caramel and toasted hazelnut blended with pumpkin puree and a generous amount of fall spices (cinnamon, ginger, nutmeg, and allspice) to create a balanced malt-forward beer, perfect for cool weather. It is sure to be a fall favorite. 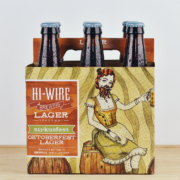 Whether your tastes buds lean towards a more traditional Oktoberfest, pumpkin and spices, or hops, Hi-Wire Brewing has the fall seasonal for you. So, get ready to grab your comfy sweater, stock-up your cooler, and get down on these fall favorites. They will not be around long.